Stoat was born at Dumbwaiter Design out of a desire for a simple CMS app that we could use for client sites. We wanted something with enough features that didn’t take over the site and didn’t break every time a new version of Django/Grappelli/Filebrowser was released. There are many other CMS apps for Django out there, and they are plump with many juicy features. Few dependencies. At the moment treebeard and django-templatetag-sugar are the only ones and both install cleanly with pip. Support for (read: doesn’t break) the APPEND_SLASH setting. Multiple templates for pages, with custom fields for each template. Multiple field types, like Filebrowser Image fields. Drag and drop reordering of pages, including making pages children of other pages. 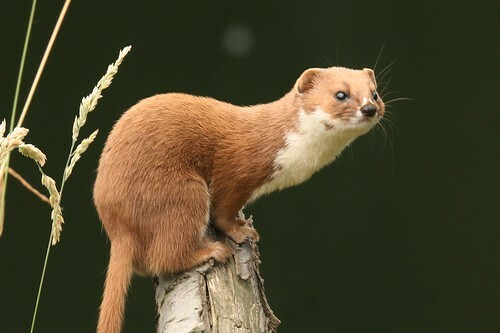 South support for migrating the Stoat database between versions. Built for and compatible with the latest version of Django (1.3), Grappelli and Filebrowser. Support for django-ckeditor for rich text editing. A few simple helpers for creating navigation menus. Support for inline models attached to Pages. A more extensive test suite. Publishing control. But it will be configurable and opt-in! i18n support. It adds complexity and many sites simply don’t need it. Tagging. Pages don’t need to be tagged, and half of the Django tagging apps are broken anyway. Redirects. The built-in redirects app handles these perfectly fine. “In-site” editing. The admin interface is for editing, the site is for using. Complicated permissions. Stoat embraces Django’s admin permission system and doesn’t try to add complexity on top of it. Revision control of pages (though some other apps that add this may happen to work with Stoat). If you need some or all of these you then Stoat simply isn’t for you. You should look at one of the many other Django CMS apps around.